Star Trek, like any fiction, is not quite like the real world. Some oddities would not really qualify as inconsistencies, and it isn't always helpful or necessary to explain them away. Still they are typical of Star Trek, especially as they occur frequently and become clichés. 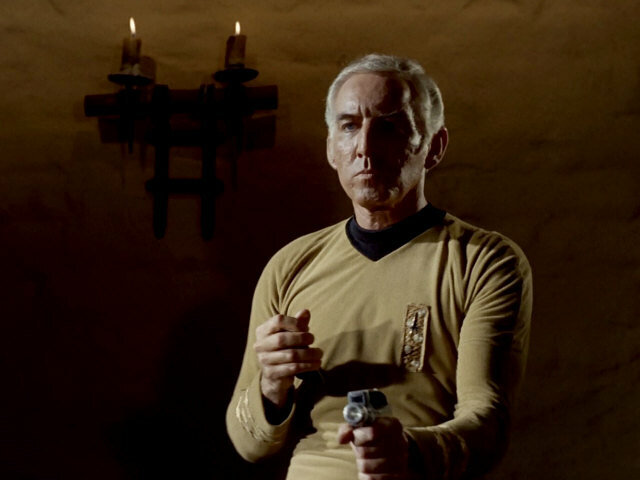 It seems every technical device in Star Trek since TNG incorporates a flashing light. There is nothing wrong with an LED (or a future equivalent of an LED) to indicate the operation mode or status of a device, especially if it is a hand-held scanner or jammer. But the prop designers go too far with this habit and build in blinking LEDs just everywhere even if there is absolutely no need for such an indicator. This culminates in the Doctor's blinking golf balls in VOY: "Drive". 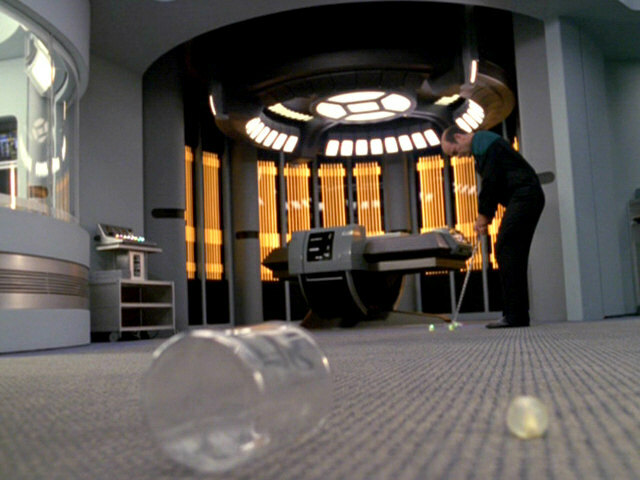 Blinking golf balls in VOY: "Drive"
Soliton wave in TNG: "New Ground"
It seems that whenever revolutionary research is conducted or novel technology is tested, it is very likely to wind up as a (near) disaster, and the innovation has to be declared a total failure. The classic example is the catastrophic experiment with Daystrom's computer in TOS: "The Ultimate Computer". The list of new technology that utterly fails grows steadily especially during TNG. 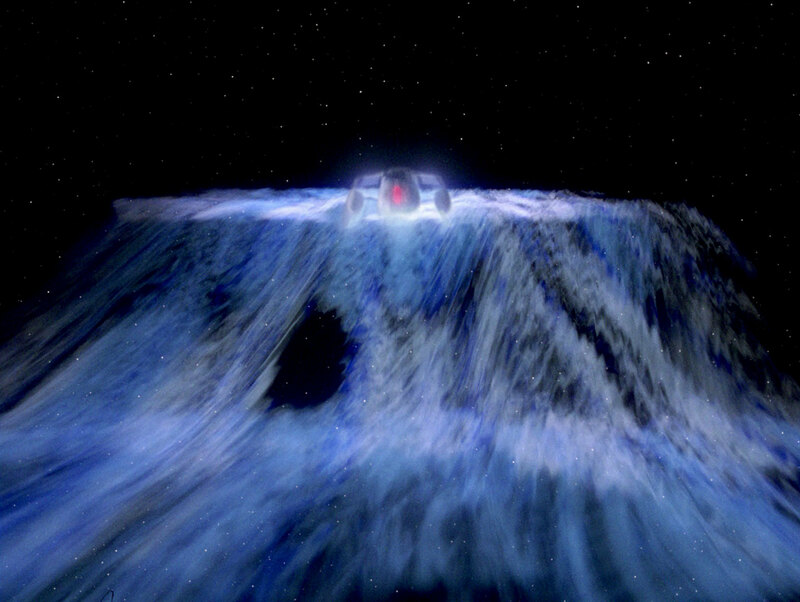 We may discount TNG: "Where No Man Has Gone Before" because here it is due to the Traveler's interference that the warp drive modification goes awry. But TNG: "We'll Always Have Paris" is a clear example where an irresponsible experiment has incalculable consequences, as is TNG: "Unnatural Selection". We may also include TNG: "Evolution" because it was in no way intended that the nanites should develop a conscience of their own and put the ship at risk. TNG: "A Matter of Perspective" is a pleasant exception because here the disaster happens because of blatant carelessness (Apgar fires at Riker but the beam is reflected from the transporter confinement beam and hits the radiation generator). Wesley's risky experiment almost costs his mother's life in TNG: "Remember Me". TNG: "New Ground" is another classic because the circumstances are much the same as in "The Ultimate Computer". Here it is a new drive technology that is deemed to revolutionize space travel -- if only it would work as intended. TNG: "The Next Phase" shows that the Romulans are not really more successful in testing innovative technology (I don't assume the whole accident with the phase cloak was fabricated, just that the cloaked Romulan used the opportunity to sabotage the Enterprise). Not only the Romulans, but also the Federation has made bad experiences with phase cloak, see TNG: "The Pegasus". TNG: "The Quality of Life" even has two new technologies causing trouble: The particle fountain goes berserk, and the exocomps don't function like they were programmed because they become self-aware. 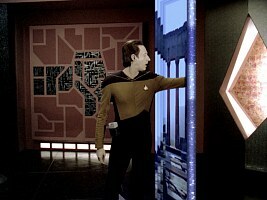 The latter is rather a positive aspect; still the episode fits into the overall negative image of new technology in TNG. The episode TNG: "Suspicions" is one of the few examples from TNG that new technology, here the metaphasic shields, may actually work. On the other hand, it is just another cliché that technologies initially deemed impossible, useless or even dangerous may suddenly become a success. The other Star Trek series have a less pronounced tendency to let new technology fail. Most prominently this questionable "tradition" from TNG is continued in VOY: "Threshold" (okay, we should better stay silent about this one) and VOY: "The Omega Directive". Not only experimental technology, but just as well every-day devices suffer from severe malfunctions more often than we should expect. The most harmful of them appears to be the holodeck. In every few episodes that we see the holodeck, crew members are trapped inside or the safety procedures go offline. Preferably both malfunctions happen simultaneously. We may excuse this apparent tendency in that Star Trek episodes always focus on unusual events rather than showing the boring normal operation of a technology. Still, the statistics are odd considering that the holodeck becomes dangerous and possibly lethal every few months on a starship for whatever reason, in which case it would be doubtful that the crew and family members could use it for recreation. The reasons for the malfunctions are very diverse though. In TNG: "The Big Goodbye" (the mother of all holodeck failures) it is an inadvertent alien influence (the scan by the Jarada ship). Something remotely comparable happens when alien beings from subspace instinctively take control of Voyager's holodeck in VOY: "Heroes and Demons" and once again in VOY: "Bride of Chaotica!". Intentional alien manipulation is the cause for the holodeck becoming hazardous in VOY: "Alter Ego". In VOY: "Worst Case Scenario" it is tampering with the holodeck by Seska why the inmates find themselves in a deadly situation. 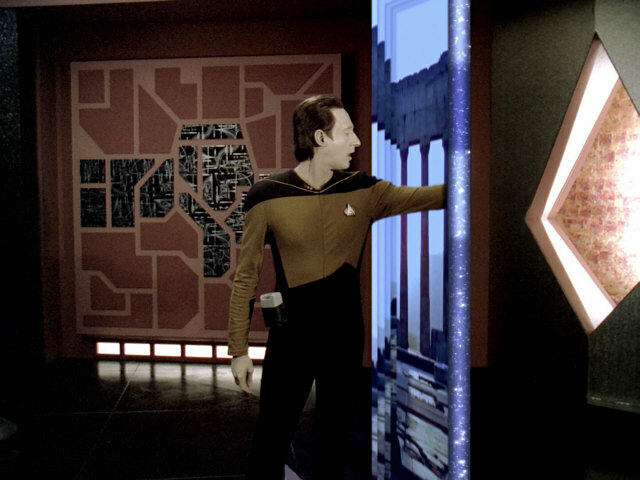 The reason for the failure lies on the holodeck itself and more precisely in a too complex character in TNG: "Elementary, Dear Data" and "Ship in a Bottle". In a vaguely similar fashion the Doctor, as a part of a holographic program, is trapped in the holodeck in VOY: "Projections". In TNG: "A Fistful of Datas" it is Data's experiment of connecting his brain to the Enterprise's memory that lets the holodeck run out of control, although we should believe that safety protocols would rather kick in in case of a memory overflow than go offline. Something comparable happens in DS9: "Our Man Bashir" when the transporter patterns of crew members are stored in the holographic matrix. The sad culmination of stupid accidental holodeck failures is in VOY: "Spirit Folk" where an allegedly safe holographic bullet hits the control panel and turns the safety protocols off. An interesting variant can be seen in TNG: "A Matter of Perspective". 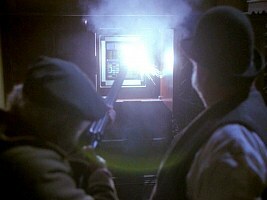 Here the holodeck creates a device, a Krieger wave generator, that becomes dangerous only through interaction with the outside world. 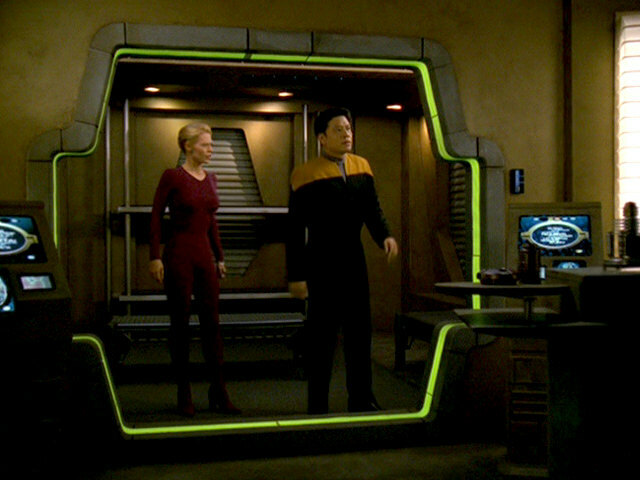 Occurrences of unsafe holodecks that we should discount are VOY: "The Killing Game" and VOY: "Flesh and Blood" because here the whole system has been laid out by the Hirogen to be dangerous. Likewise, in VOY: "Night" Seven intentionally disables the safety protocols although we shouldn't expect that to be so easy (much less that it would work on a mostly powerless, frozen holodeck). The same applies to VOY: "Extreme Risk" where B'Elanna turns off the protocols for the authentic experience of the risks of orbital skydiving and to "First Contact" where Picard is successful in killing the Borg with holographic bullets. Curiously, in VOY: "Twisted" the whole ship is bent and twisted, while of all places the holodeck is unaffected and serves as a shelter while the program is still running. Safety protocol offline in VOY: "Spirit Folk"
"14.87 minutes" in TOS-R: "That Which Survives"
In the real world there are always more than sufficient safety margins for anything constructed by engineers. Most of all because of the inevitable measurement uncertainties and manufacturing tolerances that allow only a coarse extrapolation of the actual failure conditions, and also for reasons of product warranty and safety standards. Scotty would definitely confirm that. He himself tells Geordi that he always accordingly modified the figures for the captain and for the technical manuals (TNG: "Relics"). Still, in Star Trek there are almost customarily absolute maximum ratings that denote a precise point of destruction or otherwise catastrophic malfunction of a device, as if the real ship or phaser behaved exactly like a simulation. For instance, there are almost always definite figures for failure of shields, structural integrity or life support or for the explosion of engines or power cells. Spock and Data occasionally even go as far as giving a time to failure with a precision of less than a second! One particularly bad example is in TOS: "That Which Survives" where Spock is obsessed with the idea that the ship will explode in exactly "14.87 minutes" instead of 14 minutes. In "Star Trek Generations" the officer played by Tim Russ reports "45 seconds to structural collapse". In TNG: "Hollow Pursuits" Data reckons that the time to structural failure will be precisely "15 minutes 40 seconds". In DS9: "Babel" Quark announces the explosion of Jaheel's ship to the second. In VOY: "Year of Hell" the computer counts down the seconds to the structural collapse on deck 5, and it occurs exactly at "zero". The Doctor takes the countdown at face value. He seals off deck 5 as the computer voice says "one", although he sees crew members running towards the bulkhead he closes. One exception to the cliché can be found in TNG: "Heart of Glory". On the damaged Talarian ship Riker asks: "How long before this hull ruptures?" Geordi replies, "It's impossible to be exact. I'd say five minutes. Probably less." On some occasions reasonable safety margins and fabrication tolerances are taken into account. Another positive example is DS9: "Paradise", where Dax tells Kira that if the builders had a good day, the runabout wouldn't break apart when trying to tractor another runabout at maximum warp. They did have a good day. "All systems normal" - A statement like this handles all those tidy wrap-ups on TNG and VOY where the ship has been put through hell, and then after the conflict, everything, no matter how bad, is perfectly fine without the help of a temporal anomaly. A few examples include TNG: "Force of Nature" where the ship exceeds structural tolerance by 120% and almost gets torn apart, but after the waves stop, all systems are back to normal. In TNG: "Genesis", after the cure is found, instantly everything is fine! Dr. Crusher, who needed reconstructive surgery, is back to duty, the "destroyed power transfer grid" is working fine, the damaged main computer seems to be working again, and no one's hurt - not to mention the psychological side effects of the temporary transformation of the crew. At the end of VOY: "The Killing Game, Part II", after bloody fighting, damage to the ship all over, and practically all decks damaged, everything still seems to be running fine. 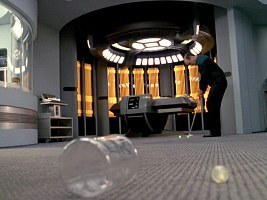 Actually, Voyager is always in perfect shape at the end of any episode, although there is no spacedock or other facility for repairs and the resources are limited - a clear example of a reset button that was deemed necessary to be able to use always the same stock footage and to avoid permanent damage to the sets. "Re-route power from life support to the weapons/engines!" - This seems like a typical melodramatic ploy to get people thinking the situation is desperate. But since when is the air circulation system such an abundant power tap? Agreed, power may be short during a battle, but the little bit that life support could provide really wouldn't help a lot. Moreover, there should be other systems that are not being needed and that are already down or could be shut down. As systems onboard the ship get damaged or become inoperable, what happens to their power? They would not keep expending power. Power which be could diverted to whatever is needed. For example, the Enterprise needs power for warp, but they aren't using their phasers. The power allocated to the weapons should be available for the engines, or vice versa. 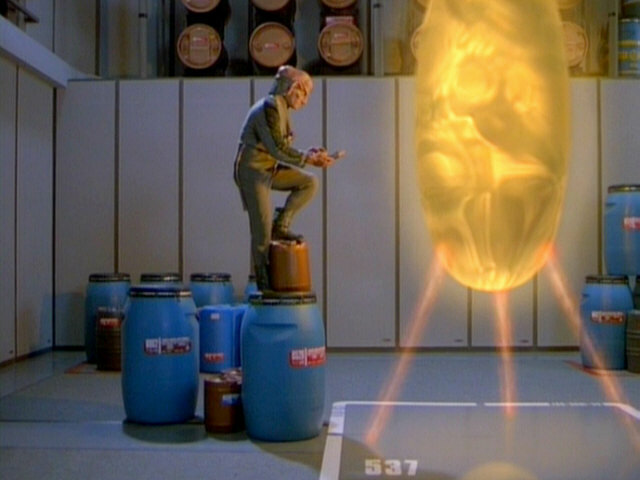 In VOY: "Revulsion" the isomorph (the holographic person who has killed his organic crewmates) states that life support takes up as much as 59.2% of the ship's power - "just to keep them breathing, warm, and comfortable." By no means this figure can be authentic, even if we include the holodeck and replicator, unless the engines are off. We should simply not trust the mad hologram. Unlike it happens a couple of times especially in TOS and TNG, once life support goes offline during a battle or is intentionally shut down, it certainly would take more than just a couple of minutes until everyone suffocates or freezes to death. Yet, only few Star Trek episodes are realistic in this respect. In DS9: "Civil Defense", for instance, Jadzia mentions that there are as many as 12 hours to get the system to work again. User interfaces in the real world are continuously designed to provide more ease of use, be it for personal computers or for commercial, medical, scientific or military applications. In contrast, it appears that the computer users of the 24th century need to memorize cryptic numerical codes to understand and operate Starfleet's equipment. Aside from library information, which is the only data in plain English, the monitors on the Enterprise-D usually show letter and number combinations without an apparent meaning. If useful data were being displayed, it would at least require a structure like "category: variable = value" and the usage of units to make sense, but something like that is almost never recognizable. Conversely, there are no keyboards that would allow alphanumeric entry. The rationale for the absence of the keyboard is the existence of a highly reliable voice interface. It is evident that it is much faster to take advantage of vocal entry than to type in long textual requests, while the key interface may be still beneficial for simple commands like "enter", "next" or "cancel". However, why is the entire display on most monitors cryptic most of the time? Perhaps the crucial information on the ship's operation is not meant to be visible to everyone, but just to authorized people working at that very station, and obviously most stations remain unattended most of the time. Perhaps the seemingly random numbers are even sort of a 24th century screensaver. But even when someone (not only Data) is working on a terminal, they pretend that they can make sense of the cryptic display. So do they really have to learn a code? 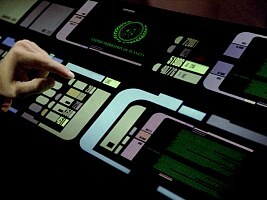 It almost seems so, especially since Starfleet officers never have any trouble understanding even an alien computer interface, not only those of familiar races like the Klingons. It seems that most known aliens of a comparable technological level have settled on a universally comprehensible standard for their computer interfaces. Only the letters and symbols are different. Starfleet officers only have observable difficulties operating ancient technology (Kirk's attempt to drive a car in TOS: "A Piece of the Action") or very advanced interfaces (Data needs some time to figure out how the Iconian computer works in TNG: "Contagion"). It appears that 21st century humans are just too stupid to understand the amazing logic that lies in the humanoid-machine interfaces of the 24thc century. Cryptical interface in TNG-R: "The Last Outpost"
Iconian technology in TNG-R: "Contagion"
It is a recurring setting in Star Trek that the crew finds traces of a long-dead civilization. This alone is not a surprise, after all that's what they are supposed to do on a ship of exploration. Still, there is one frequent cliché: Most advanced civilizations, even if they were completely destroyed in a war or global disaster, have left behind technology that is still operational and powered, and sometimes there are even survivors. There are countless examples, such as TOS: "What are Little Girls Made of", "Miri", "The Return of the Archons", "The City on the Edge of Forever", "The Apple", "I, Mudd", "Return to Tomorrow", "The Paradise Syndrome", "Spock's Brain", "For the World is Hollow and I Have Touched the Sky", "That Which Survives", "Turnabout Intruder", TNG: "The Last Outpost", "The Arsenal of Freedom", "Contagion", "Booby Trap", "Final Mission", "The Inner Light", "Gambit", "Masks", DS9: "Dramatis Personae", "To the Death", VOY: "The Thaw", "Dragon's Teeth", "Memorial", ENT: "Dead Stop", "Kir'Shara". It is interesting to notice that the idea is always used fewer since the time of TOS when it showed up massively. It may be possible to design self-sustaining technology, especially if it is meant to survive that long. Still, it is not plausible that it apparently always works as intended for millennia. We may include TNG: "The Chase" as the ultimate example of how knowledge of a civilization may be preserved in the form of inherited DNA segments. Star Trek, like other science fiction genres too, repeatedly showed how deliberate sabotage in the form of a tiny bomb or computer virus was enough to destroy a huge distributed system despite manifold redundancy and security precautions. For instance, the communications network in VOY: "Hunters" was entirely destroyed just because one of the countless stations collapsed. Earth's whole power network was susceptible to sabotage in DS9: "Homefront". Picard was quite confident in TNG: "I, Borg" that a destructive computer virus might wipe out the Borg Collective, something that was actually done by Admiral Janeway in VOY: "Endgame". Finally, in ENT: "Zero Hour" it sufficed to destroy just one of the spheres creating the anomalies of the Expanse to disable all of them. It is obvious that security precautions on Starfleet vessels especially of the 24th century are extremely lax. Although crucial areas like the bridge, engineering or shuttlebays are explicitly off limits to visitors, there is no sort of authorization necessary to get there, as Wesley Crusher before his days as a honorary ensign, the financier Ralph Offenhouse in TNG: "The Neutral Zone" and various other unwanted visitors keep proving. 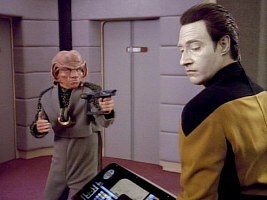 Even though the Klingons in TNG: "Heart of Glory" and Roga Danar in TNG: "The Hunted" were tough opponents, it was made overly easy for them to wreak havoc on the ship, especially if we bear in mind how easy it would be to destroy the whole ship by just firing at the warp core with a phaser. But even physically inferior intruders like the Ferengi in TNG: "The Perfect Mate" and yet again in VOY: "False Profits" gain access to restricted areas and are able to do damage very easily. On a related note, it is obvious that children should not be allowed to run around everywhere on the ship just because it's for their own safety. But TNG creates the impression that they can play just everywhere on the Enterprise-D, unless a grumbling Klingon security chief chases them away. 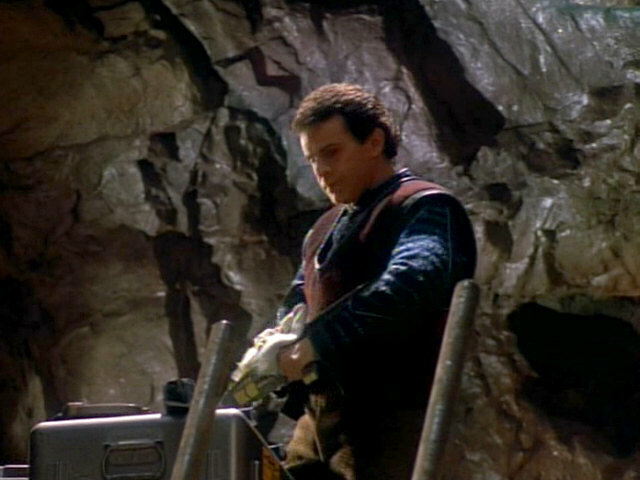 Lacking security in TNG: "The Perfect Mate"
No surveillance in VOY: "Body and Soul"
There seem to be only two types of alien prison cells: ancient dungeons with iron bars, which seem to be popular even in many highly advanced civilizations, on one hand and high-tech forcefield-sealed cells on the other hand. Ironically, while both types of cells are constructed to be easily observable, they are guarded extremely carelessly. Very often there is not a single guard left for the cell on a ship or a planet full of soldiers. But most idiotically, almost no cell is with audio or video surveillance. Naturally, this gives our heroes plenty of opportunity to discuss secrets or even prepare a jail break (for instance in TNG: "Descent II" and most obviously in VOY: "Body and Soul"). 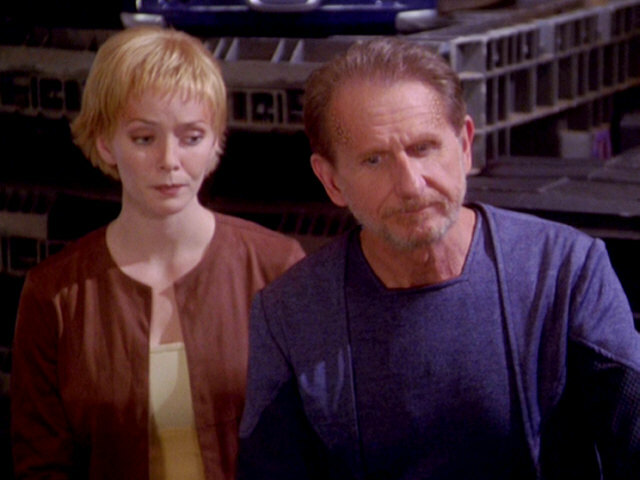 One notable exception is in DS9: "The Assignment", where O'Brien has to disable the sensors before breaking into Odo's security complex where Rom is being held (O'Brien is making modifications on the station on behalf of a Pah-Wraith who has taken over Keiko, and Rom was arrested for that). It also seems that shuttlebays and transporters can let the bad guy/possessed good guy/troubled youth/etc. escape the ship well before the bridge crew, who is alerted through a blinking light, can do anything about it. But transporters always seem to take a minute or so to power up. And the shuttlebay? Don't get me started. First you have turn the shuttle on, preflight checklist, depressurize the bay and open the door (which on the aircraft carrier equivalents cannot be done in the F-18, you need the flight officer to do it), and then finally plot your flight path to avoid little things like warp engines and jet wash from the impulse drive. Despite all this, all these procedures can be done in less time than it takes for a Lt. Cmdr. to push the aforementioned blinking light on their panel. In most cases when the Enterprise (in any series) is communicating with another vessel, the visual is exactly who the person is speaking to. For example, where is the camera on the Enterprise bridge? How does the camera know who to focus on, especially on scenes where the speaking officer is moving around, like in "TNG: Unification" while Picard is talking from the back of the bridge to the Klingon officer? On some occasions no camera at all should be available, still the viewscreen shows a live picture or a recording of an event. This happens for the first time in TOS: "The Menagerie" where the Talosians transmit a recording of Captain Pike's previous mission to their planet to the Enterprise, essentially the whole pilot movie "The Cage". It is obvious that a TV movie could never be an actual recording by surveillance cameras. But since the Talosian transmission includes Pike's hallucination sequences and Commodore Mendez is not actually present aboard the ship anyway, we may explain everything as just another hallucination. Only that in this case the alleged evidence from Pike's mission would be completely fabricated by the Talosians, with the disabled Pike and Spock, ironically the defendant, being the only people who could confirm its authenticity. In TOS: "Arena" the crew on the bridge follows every one of Kirk's movements on the barren planet. Surely the vastly advanced Metrons who created the transmission must be talented cameramen as well. The worst example is in "Star Trek V" when Kirk, Bones, Spock and Sybok land on the planet and go walking, but the crew on the bridge is watching them, no matter how far they walk from the shuttle, like a portable camera is following them around. No explanation is provided as to who filmed everything. Since the days when the late Matt Jefferies was in charge of the Art Department, caves have been a frequent theme in Star Trek. The real-world reason is that such sets are easy to build and to modify, and caves on different planets may look similar without causing major plausibility problems. I guess that about 20% of all Trek episodes have at least one scene in a cave. Although caves may be practical to hide something or as secret meeting points, and may also be of some limited interest for the science departments of a ship, I wonder how often the crew of a starship would actually enter a cave. Definitely not every few weeks, with a different purpose each time. Cave in DS9: "The Maquis II"
Hermit Graves in TNG-R: "The Schizoid Man"
The Federation clearly has many uninhabited Class-M planets available for colonization. But it is still remarkable how many planets have just a handful of scientists as their only inhabitants - or at most just as many as a starship like the Enterprise (-D) could evacuate in an emergency. While it still makes sense that possibly hazardous installations like the Tantalus Colony in TOS: "Dagger of the Mind" or Darwin Station in TNG: "Unnatural Selection" are isolated, it is a cliché that ingenious scientists always seek the loneliness of a planet of their own, like Korby in TOS: "What Are Little Girls Made of? ", Cochrane in TOS: "Metamorphosis", Flint in TOS: "Requiem for Methuselah", Graves in TNG: "The Schizoid Man" or Soong in TNG: "Brothers". Speaking of lonely settlements, it is astonishing how many small Earth colonies fell into oblivion and were rediscovered many decades or even centuries later. Examples include TOS: "This Side of Paradise", TOS: "The Paradise Syndrome", TNG: "Up the Long Ladder", TNG: "The Ensigns of Command", TNG: "The Masterpiece Society", DS9: "Paradise", DS9: "Children of Time", VOY: "The 37's", ENT: "Terra Nova" and ENT: "North Star". While the individual reasons for losing contact are different and may be more or less plausible, there are just too many occurrences of such colonies. Many of the alien governments seem to place their empires behind them, as their homeworlds (Romulus, Qo'nos and Cardassia Prime, to name the most prominent examples) are just a few light years from the Federation borders. There may be explanations as to why the empires expand in just one direction (just like Russia whose capitals Moscow or even Saint Petersburg are in the far western corner of their territory). Yet, it seems implausible that they would position so much space behind them, and so little in front. It would be like building a castle wall, and right behind that castle wall sits the king's throne right out in the courtyard. This is another classic: Whenever your ship or shuttle has a severe malfunction, was sabotaged or attacked and you have to seek a place for an emergency landing, there is conveniently a Class-M planet (or at least a Class-H moon with breathable atmosphere) within impulse range or even within thruster range. This is extremely unlikely, considering that a shuttle on interplanetary or even interstellar flight would avoid coming too close to a planet with its detrimental gravity and possible debris in orbit. Still, the heroes are always saved by the coincidental presence of such a planet. Examples: TOS: "The Galileo Seven", TNG: "Final Mission", TNG: "Liaisons", DS9: "Ascent", DS9: "Rocks and Shoals", DS9: "Waltz", DS9: "Penumbra", VOY: "Gravity", ENT: "Dawn", ENT: "Bounty". We may argue that, just like with plane crashes that occur predominantly during the take-off or landing phase, starships most likely get into trouble while approaching a solar system. But many of the above incidents appear in open space without being subject to such statistical considerations. Planet pops up in DS9: "Rocks and Shoals"
Sole survivor in TNG: "Hero Worship"
Countless disasters from starship crashes over planetary cataclysms to mass assimilations by the Borg have occurred in the history of Star Trek. Many of them left only a small number of survivors out of thousands or even millions, like in TOS: "The Conscience of the King", "Return to Tomorrow" or VOY: "Dragon's Teeth". A surprising number of episodes presents us exactly one survivor, probably for the sake of the dramatic impact. Examples can be found in "The Cage", TOS: "Charlie X", "Arena", "The Doomsday Machine", TNG: "The Royale", "The Icarus Factor", "Suddenly Human", "Hero Worship", "Night Terrors", "Liaisons" (even two cases in Iyaaran records), DS9: "Dramatis Personae", VOY: "Scorpion", "Revulsion". We may include Worf into this category, although it turns out in "Sins of the Father" that Kahlest was another survivor of the Khitomer Massacre. We also have one sole survivor in a few more episodes, but here it is quite plausible why: In TNG: "The Survivors" Kevin Uxbridge survived because he was not human, in TNG: "The Enemy" the Romulan ship was manned with only two anyway, and in TNG: "The Vengeance Factor" Yuta was just the last of several survivors. Whenever something unexpected but of great consequence happens, almost everyone of the senior officers is currently on duty. Considering that on a starship there are usually three shifts with eight hours each in a simulated 24-hour period, it is unlikely for random events always to occur at a certain time of the day. And it is even more questionable for suddenly attacking aliens who definitely wouldn't have matching day and night periods. If in any way intentionally, they would attack while everyone important was asleep -- provided that all senior officers are together in one shift, which is not plausible either. So unless Kirk, Picard or Riker and most of the others were working nearly 24 hours a day, we would not expect many of them on duty when their presence is suddenly required. 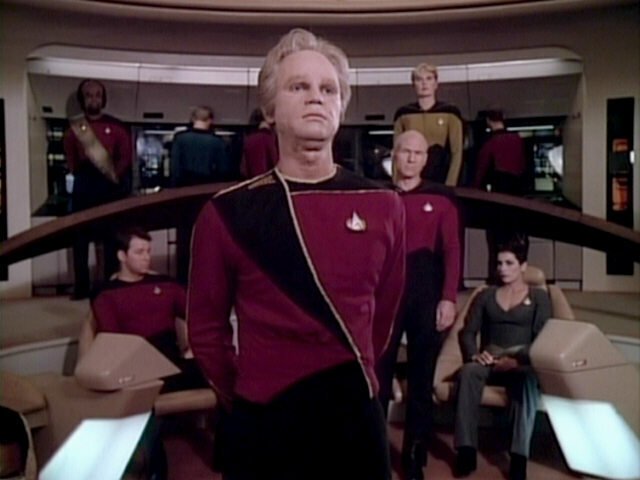 There are just two notable exceptions: At the beginning and at the end of TNG: "Data's Day" we can see the night watch, with Data in charge of the bridge, supported by fewer officers than usual. In VOY: "Warhead" Harry is commanding the night shift, comprising some less experienced officers on the bridge, when he finds the autonomous weapon and decides about its salvage all alone. It is one of the most common plots in Star Trek that the ship or station or many of its crew are captured by alien forces. Realistically it would require violence and best of all military help from the outside for the crew to overwhelm the intruders, just like in DS9: "Sacrifice of Angels", VOY: "Macrocosm", "Scientific Method", "The Killing Game", ENT: "Chosen Realm" or "Star Trek: First Contact". But very often the crew can handle the situation too easily on their own. Typically it takes nothing more than a great deal of luck and some simple ruses to rid the ship of the usually superior enemies, which is more or less plausibly shown in TOS: "Space Seed", "Return to Tomorrow", "Wink of an Eye", TNG: "Power Play", VOY: "Basics", "Displaced", "Message in a Bottle", "Workforce" and ENT: "The Catwalk". Some intruders make it much easier because of their stupidity, credulity, weariness or another weakness. Prime examples of this cliché are TNG: "Rascals", DS9: "One Little Ship" and ENT: "Acquisition". On the other hand, in episodes like TOS: "Day of the Dove", "By Any Other Name", TNG: "Evolution", DS9: "Invasive Procedures" and ENT: "Vox Sola" the invaders are neither fought nor fooled, but a mutually satisfactory and Trek-like solution is found. The same may have been close to be accomplished in TOS: "Who Mourns for Adonais", "The Apple" or ENT: "The Crossing", but here the enemy is simply disabled or killed. The perhaps worst example of a takeover, however, can be found in "Star Trek: The Final Frontier". Not only is the crew brainwashed much too easily, but even the unaffected Kirk and Spock miss countless excellent opportunities to overwhelm Sybok with a minimum of violence, most obviously when Spock hands over the weapon to his brother after the crash landing of the shuttle. Ferengi take over the ship in TNG: "Rascals"
Mad Captain Tracy in TOS: "The Omega Glory"
Another classic: Since the days of TOS admirals, commodores, captains or other high-ranking Starfleet officials are very often portrayed as being unstable. They are obsessed with unethical pet projects, betray the principles of the Federation or have otherwise lost their sense of duty or sense of reality. We can see "mad admirals" (or other high-ranking officers) in TOS: "The Doomsday Machine" (Decker), "Bread and Circuses" (Merrick), "The Omega Glory" (Tracey), "Whom Gods Destroy" (Garth of Izar), "Turnabout Intruder" (Lester), TNG: "Too Short a Season" (Jameson), "The Drumhead" (Satie), "The Wounded" (Maxwell), "The Pegasus" (Pressman), DS9: "Paradise Lost" (Leyton & Benteen), VOY: "Equinox" (Ransom & Burke), "Star Trek: The Undiscovered Country" (Cartwright & Valeris), "Star Trek: Insurrection" (Dougherty). We can add Admiral Marcus from "Star Trek Into Darkness" to the list, who commits murder with all the usual justifications, that it's only in the best interest of the Federation, that his stance is basically right and that he has just to fix an error in his work by killing everyone on the Enterprise. In "Star Trek Beyond" it is Captain Balthazar Edison who becomes the movie's villain, Krall, attacks and destroys the Enterprise and attempts to kill everyone on Starbase Yorktown with a bioweapon. 56 Enterprise crew members (that we know of) were killed during TOS, most of whom wore the red shirt of the engineering/security department. Most of these crew members died almost casually, as if the only purpose of their death were to demonstrate how powerful an alien lifeform, how deadly a virus or how determined an enemy is. The term "Redshirt" was coined in popular culture to denote characters that the writers sacrifice effortlessly. The death toll among the Starfleet crews in the four later series is considerably lower (with the notable exception of the Dominion War). This indicates that the producers have learned from the mistake of using characters and extras as mere cannon fodder in their stories. We know that most aliens seem to have superior physical and mental strength compared to humans. Many of them are also insensitive to a variety of conditions that would cause the certain death or at least insanity of a human being. Quite often it is only and exactly one member of the crew or sometimes a guest who proves immune to plagues, radiation or even spatial anomalies and who is the only one left to save the ship. We could witness Spock's superiority in TOS: "Operation: Annihilate", "Obsession", "The Immunity Syndrome", "Return to Tomorrow" and "Is There in Truth No Beauty? ", although on none of these occasions it was the typical situation where one person saves the ship while everyone else is incapacitated. This honor surprisingly went to Kirk in TOS: "The Naked Time", "This Side of the Paradise" and in some fashion also in "Elaan of Troyius". Although only a "simple" human, he remained clear-headed because the Enterprise was more important to him than anything else. It is no surprise that it was predominantly Data who got the Enterprise-D out of danger in TNG. His special abilities showed up just as often as Spock's, albeit with decreasing frequency. Some of the most obvious examples are "Home Soil", "Unnatural Selection", "Contagion", "Disaster" and "Time's Arrow". But only in "Clues" and "The Game" Data saved the Enterprise mostly alone, whereas he got the ship into trouble because of his nature rather more often, like in "Brothers", "A Fistful of Datas" or "Masks". Ironically, as soon as in "The Naked Now" he was affected by a purely biological phenomenon just like every lifeform on board, and something similar happened when Data was possessed by aliens in "Power Play". The "one character saves the ship" cliché showed up infrequently on DS9, just as in "Dramatis Personae" (Odo) and "Visionary" (O'Brien). Voyager clearly had more episodes along these lines, and with "Scientific Method" (Seven), "Waking Moments" (Chakotay), "One" (Seven), "Bliss" (Seven, along with Naomi) and "The Fight" (Chakotay) it has eventually become a cliché. It is no surprise that the trend continues in Enterprise, in ENT: "Singularity" (T'Pol) and ENT: "Doctor's Orders" (Phlox). On several occasions a member of the enemy faction, usually the principal villain's closest aide or someone else in the inner circle of power, changes his or her mind and helps the Starfleet crew just when the latter have run out of options. Sometimes it even happens in an act of self-sacrifice. The cliché can be observed in TOS: "Mirror, Mirror" (Mirror Spock), "Bread and Circuses" (Merikus), TNG: "The Most Toys" (Varria), DS9: "Invasive Procedures" (Mareel), "Crossover" (Mirror Sisko), "Strange Bedfellows" (Damar), "What You Leave Behind" (Cardassian fleet), VOY: "Year of Hell, Part II" (Obrist), "Renaissance Man" (Nar), ENT: "The Shipment" (Gralik), "Azati Prime" and "Damage" (Degra), "Star Trek: Insurrection" (Gallatin). When the crew discovers a group of shipwrecked people on a planet, there is a high chance that these don't want to be rescued at all and are not even what they appear to be. Already the very first pilot episode, "The Cage", plays with our expectations, showing us a group of elderly scientists who have survived on Talos IV for many years, but eventually it all turns out to be an illusion created by the planet's real inhabitants. There are numerous other stories following this pattern, such as TOS: "Charlie X", "Metamorphosis", "And the Children Shall Lead", TNG: "Up the Long Ladder", "The Survivors", "Transfigurations", "Power Play", "Liaisons", DS9: "Paradise", "Shadowplay", "Meridian", "Children of Time", "The Sound of Her Voice", VOY: "Innocence" and ENT: "Terra Nova", "Oasis". 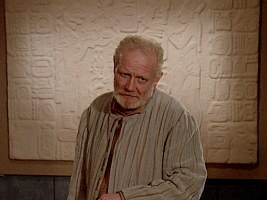 Shipwrecked people with a secret in ENT: "Oasis"
Guest with a secret in TNG: "Too Short a Season"
Not only incidental acquaintances but even scheduled guests may hold a dark secret. This is particularly a problem on the Enterprise-D, where repeatedly, if not to say as a general rule, high-ranking guests such as admirals, ambassadors or scientists conceal a special ability or ailment that they ought to have mentioned, or they pursue an unethical plan. Something like this happens in TNG: "Where No One Has Gone Before", "Too Short a Season", "11001001", "Conspiracy", "Loud as a Whisper", "The Dauphin", "The Vengeance Factor", "Sarek", "Data's Day", "The Host", "Violations", "The Perfect Mate", "Man of the People", "Suspicions", "Liaisons", "Inheritance" and in probably some more episodes that I have missed. We can observe the cliché in the other Trek series too, such as in TOS: "Journey to Babel", DS9: "Second Sight" or VOY: "Remember", but overall far less frequently. Whenever an important character or crew boards a ship, that ship, even if it is a runabout or shuttlecraft, is suddenly indestructible or at least more powerful than it should be. Granted, these ships take damage and sometimes are destroyed, but the crews are safe. There are numerous examples of this phenomenon. 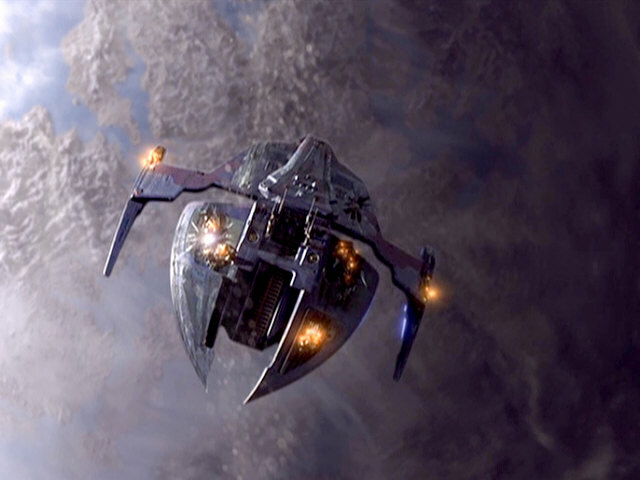 The runabout in DS9: "Treachery, Faith, and the Great River" gets attacked more than once by a Jem'Hadar attack ship and is not instantly destroyed, even after about nine direct hits to the same section without repairs and manages to still return to DS9. The Defiant in DS9: "Tears of the Prophets" is hit about twelve times, but is still in one piece, whereas the rest of the fleet is getting utterly destroyed by the same weapon platforms. Also, the rest of the fleet doesn't seem to have shields up either, the beams and torps from the platforms hit directly onto the hull and most of the time, right through it! Although the Defiant has ablative armor, it still wouldn't allow them to survive such powerful assaults that cripple ships three times their size and power in two or three shots. 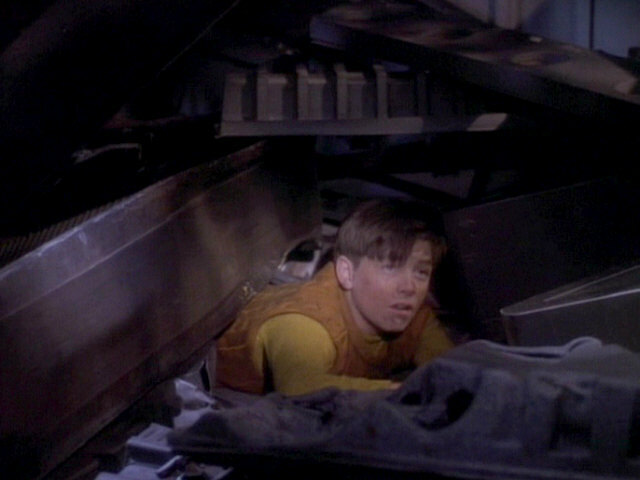 Moreover, when important characters are inside a ship that is going to be destroyed, the ship always waits until the characters are safely away before exploding. Just like the Saratoga in DS9: "Emissary", the Jem'Hadar attack ship in DS9: "A Time to Stand" and "Rocks and Shoals", the Honshu in DS9: "Waltz", the Valiant and the runabout in DS9: "Valiant", the Defiant in DS9: "The Changing Face of Evil". Every other ship without an important character aboard is utter cannon fodder and subject to immediate destruction. Starfleet sends hundreds of varying classes of ships into combat to fight, and when we see them on the show, what do they do? Fly around and not fire! There are several instances where vessels are seen just aimlessly moving about and not firing their ten phaser banks or five torpedo launchers... just floating around as window dressing. What are they waiting for? We see the Defiant attack and attack and attack, but the other ships just sit there or mill around not firing even when they are right in the middle of the enemy lines. The writers of Star Trek must *really* have a love of blowing up their own creations. They love to do it, and they do it often! Especially in TNG, where the Ent-D was destroyed several times, but survived to the movies. How? You guessed it, the miracle of time travel! Only to be ultimately blown up in "Generations", ironically in spite of the presence of yet another time anomaly. Here are some examples: TNG: "Time Squared", TNG: "Yesterday's Enterprise" (almost destroyed, but pretty much dead), TNG: "Cause and Effect" (the end-all-and-be-all of Enterprise overkill! ), TNG: "Timescape", and three times on TNG: "All Good Things". Something similar happens in DS9: "Visionary" (the only time they blew up the station, thank god) and "Children of Time". Also, VOY: "Deadlock", VOY: "Year of Hell", VOY: "Timeless", VOY: "Relativity" and ENT: "Twilight" belong into this category. The genetically engineered Khan Noonien Singh assumes dictatorial control from South Asia to the Middle East, an act which culminates in the Eugenics Wars (TOS: "Space Seed"). Governor Kodos seizes power on the planet Tarsus IV during a food shortage, declaring martial law, and engineering a massacre according to his own unique interpretation of "survival of the fittest" (TOS: "The Conscience of the King"). John Gill reshapes the society of the planet Ekos to a carbon copy of Nazi Germany. Although he is later disempowered, he must have controlled every aspect of the planet's life to accomplish the transformation in the first place (TOS: "Patterns of Force"). Lieutenant Commander Dexter Remmick becomes the human host to alien creatures, which successfully use their parasitic offsprings to gain control of key members of Starfleet all across Federation space as a prelude to an invasion (TNG: "Coming of Age, TNG: "Conspiracy"). 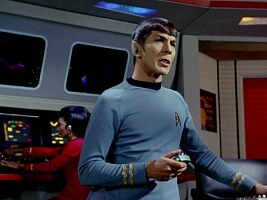 The Mirror Universe version of Mr. Spock gains control over the Terran Empire (TOS: "Mirror, Mirror", DS9: "Crossover"). Mirror Hoshi Sato already accomplished the same (or was close to succeed) some 100 years earlier (ENT: "In a Mirror, Darkly, Part II"). Lieutenant Commander Worf (temporarily) assumes control of the Klingon Empire after killing Chancellor Gowron in a bat'leth duel, and although he is officially an outcast at the time (DS9: "Tacking into the Wind"). Admiral Leyton stages a military coup of the Federation in anticipation of a Dominion invasion (DS9: "Paradise Lost"). Captain Jean-Luc Picard's clone Shinzon becomes Praetor of the Romulan Empire after assassinating the entire Romulan Senate ("Star Trek Nemesis"). The aforementioned are only the successful bids for power, not including such failures as the Ktarians' use of mind control devices in TNG: "The Game", the corrupt Federation officials seeking radical policy shifts for their own personal gain in TNG: "The Pegasus", "Insurrection", and "The Undiscovered Country", or smaller scale efforts, such as the Klingons' introduction of firearms to Tyree's planet in TOS: "A Private Little War" or the slaughter of the Yangs initiated by Captain Ronald Tracey on Omega IV in his bid for immortality using only a couple of phasers in TOS: "The Omega Glory". Some screen caps from TrekCore and Jörg Hillebrand. Thanks to Micah Haber for an additional hint about holding cells, to jim for the notice about the statistics of plane crashes, to Eric Goodemote for the idea about lacking security on Starfleet ships, to Tobias Heintz for the idea about computer interfaces, to Leandro for a hint about night shifts on ships, to Joe for correcting a fact about unwanted visitors, to Gregory Price for a correction about coups d'état and to Andre Dacier for suggestions about ships captured by aliens.